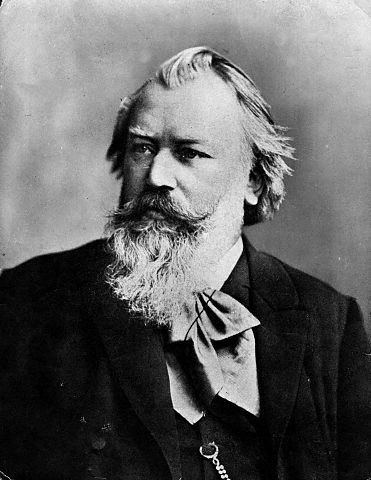 Did you know that Brahms was such a perfectionist that he destroyed many of his early works because he later found them inferior? He was also a proponent of absolute music, that is, music that doesn’t have any extramusical associations– music for the sake of music. This is my favorite Brahms piece for solo piano. It has much of what I love about the late romantic style– dense chords, tonal ambiguity through chromaticism, orchestral textures, and unique form. The texture of this piece reminds me of playing Rachmaninoff in some ways. For most of the piece, your hands remain outstretched in reaches of octaves and rolled chords. This helps create an orchestral sound at the piano as many voices are to be brought out through the thick texture. You can see in this excerpt that Brahms suggests orchestral instrumentation through the use of large leaps and differences in textures. The parallel thirds suggest horns while the parallel octaves suggest strings. This piece is in a sonata rondo form. Basically, the two large outer sections are complete sonata forms with developments. 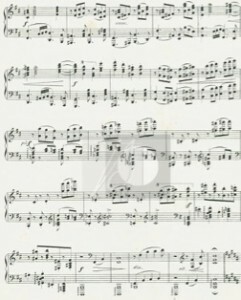 These sections are identical to each other, however the later section moves into a spacey and mysterious coda that recalls the more relaxed and sweeter d minor section, but this time in the original key of b minor. The middle of the piece is in B major and acts like a development for the piece as a whole as it builds off of the shorter d minor theme stated earlier. The sound of an agitato in b minor moving to a calm middles section in B major makes this piece easily comparable to Chopin’s Scherzo in b minor. While Chopin quotes a Polish Christmas carol with lullaby qualities in his Scherzo, Brahms uses an original theme, though it certainly has a similar sentiment. Perhaps Brahms was inspired by this similar structure. Trying to record with a toddler around the house is difficult. My house was quiet during a one-hour nap and I managed to get this recorded. It has an additional repeat and a couple details that could be more to my liking. But hey, that’s a success in my book. Thanks for sharing the anecdote plus your analysis oft the piece, and your playing as well!!! I love the explanation of the orchestration. Did you read it somewhere or is it all you?